In the beginning the five of them made a promise. Gregor is quietly, desperately in love with Whitney until a tragedy transforms his world. Zoe is running from everything: her celebrity mom, a public scandal, a long-held family secret, and, ultimately, herself. Jake knows what it means that he has a crush on his best friend, Ted: it’s everything else that’s so confusing. Beautiful Whitney seems to have it together, but looks can be deceiving. And then there’s Mia. She watches them all but doesn’t say a word until it’s almost too late. Five teenagers. 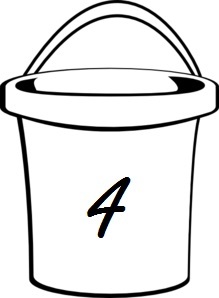 Four years. An unforgettable journey. At freshman orientation, five teens write letters to their future selves and plan to open them on their graduation in four years. Infinite in Between documents these students’ lives: the memories they compile and the moments that shape them into who they will become. Carolyn Mackler has created a contemporary high school drama, a coming-of-age story, like no other. The plot is simple, realistic, and riveting. Coming-of-age stories have always been simple but their simplicity is what makes them so gorgeous. These five teens, who were immediately connected from freshman orientation by written letters, weave each of their lives and develop in preparation of college and the “real world.” Mackler creates such development perfectly, seamlessly building upon the character from part one. The structure of the novel is cleverly done, depicting each high school year and month. Each teen is different, making it easy to relate to at least one character. Even the plot is relatable. Carolyn Mackler surely did her research. Infinite in Between had me recalling high school like it was yesterday. The mention of the eighth grade Washington D.C. trip, the boy who found out he was allergic to bees, and even the horrid gym class—it was almost like Mackler took it straight out of my high school experiences. 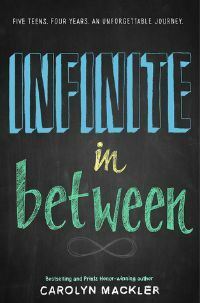 Infinite in Between is extremely relatable, the more the pages turn, the more readers will find how similar they are to some of these characters. The only issue was the changing perspectives—all five of them—continued to be confusing throughout the entire novel. Most of the characters had short names like Mia, Zoe, and Jake. It made it even more difficult to remember all of them. Overall, Infinite in Between is the ultimate coming-of-age story. Readers of all ages—but especially high-schoolers—will love and appreciate what Mackler has created. The identity and development of the five teens are intertwined with one another in a beautiful picture of what high school is really like. The Infinite in Between ends on the best note, with realization that the infinite in between are moments in time that shape us into who we become in the future. Anyone who has had a moment like that—a moment that seems to last forever but is gone in a blur—will devour Infinite in Between.